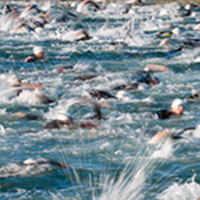 Stanford Triathlon Team is hosting its annual Classic Treeathlon l race on Sunday, March 3, 2019. This event is open to collegiate individuals and teams, high school and junior athletes, age group and senior games athletes. There will also be relay teams for this event. Come join us! It's a ton of fun and supports the Stanford Triathlon Team. Planned start time is 8:00am Sunday, March 3. Please check the event website for any changes and updates.